How can I design my own MultiQuad? ExpoDisplays has created an online library collection of all the MultiQuad components (building blocks). 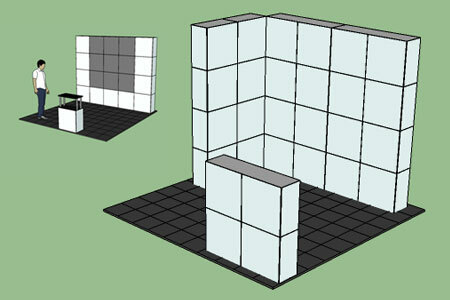 You copy and paste these components within SketchUp, and then begin moving them around, designing and arranging them in a way that works for you. 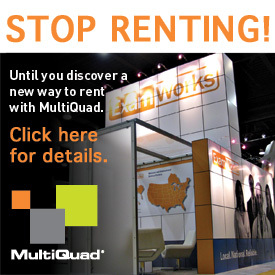 You will be able to easily create a 3D rendering of how you would like your MultiQuad exhibit to look and function. 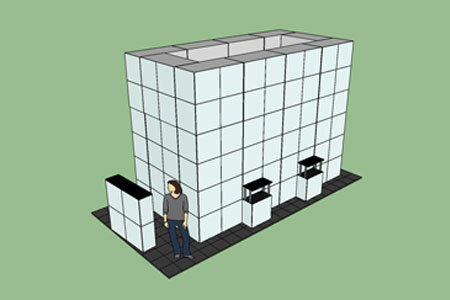 The library of components even includes towers and monitors for added accessories to increase your design options. 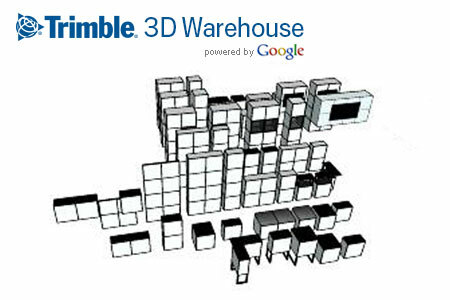 If you’re ready to dive into designing your own MultiQuad you need to have SketchUp installed on your computer and then obtain the MultiQuad components from Trimble® 3D Warehouse. You can work with a pre-designed MultiQuad kit as a starting point or you can create your own from scratch from the collection of components using the blank floorplan kits. Just point, click, copy and paste and move them around to meet your specific needs. If you are brand new to SketchUp and exhibit design, you may choose to join us for our free live training webinar on how to setup and use SketchUp. 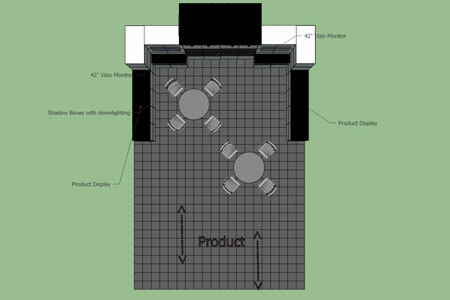 ExpoDisplays will walk you thru the process step-by-step and have you up and running in no time. 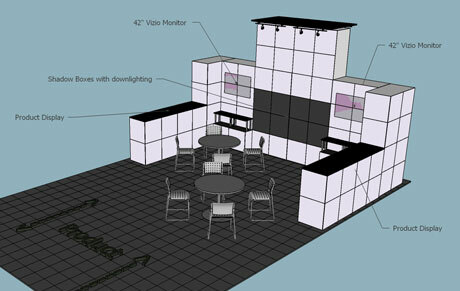 To register for an upcoming SketchUp webinar, e-mail Jay@expodisplays.com. 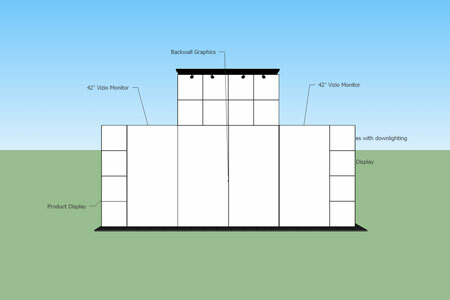 Not only does building in SketchUp help you visualize your design ideas, but you can export them and share them with ExpoDisplays for a price quote or as a plan to produce your MultiQuad. Show below are examples of designs others have done and shared with ExpoDisplays.